in a charming and culturally-rich community. Nyack is charming, hip, relaxing and fun! The Village of Nyack, just 34 miles north of NYC, is nestled on the western shore of the Hudson River in the shadow of Hook Mountain and at the foot of the Gov. Mario Cuomo Bridge (formerly Tappan Zee Bridge). Small shops, historically and culturally significant landmarks, a riverfront park, street fairs, a farmer’s market, and parades are just some of the highlights of this unique, diverse and creative community. 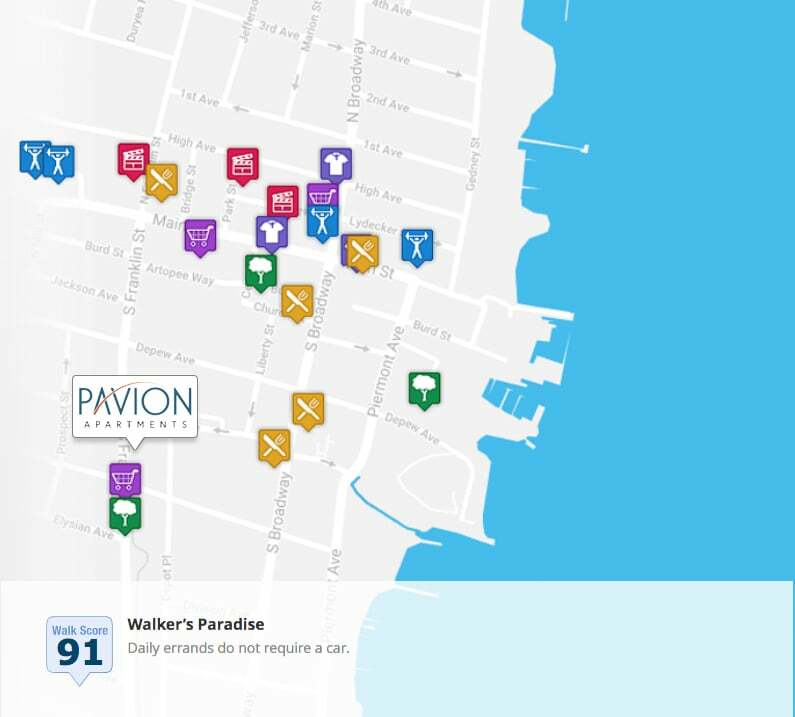 Located in the heart of it all, Pavion Apartments is just a few minutes’ walk from Downtown in one direction, and the freeways that connect you to the rest of the world in another. There’s no better way to experience New York living. Do you love trying new craft beers and different artisanal restaurants on a regular basis? Then you’re going to be right at home in Nyack. Pavion is located on the Hudson Link Bus line connecting Rockland and Westchester Counties. Palisades Center, a four-story shopping mall with over 200 stores is just a few miles away. At Pavion, you have fresh options. With several unique studio, one and two-bedroom floor plans to choose from, you're sure to find a layout that suits your style and needs. 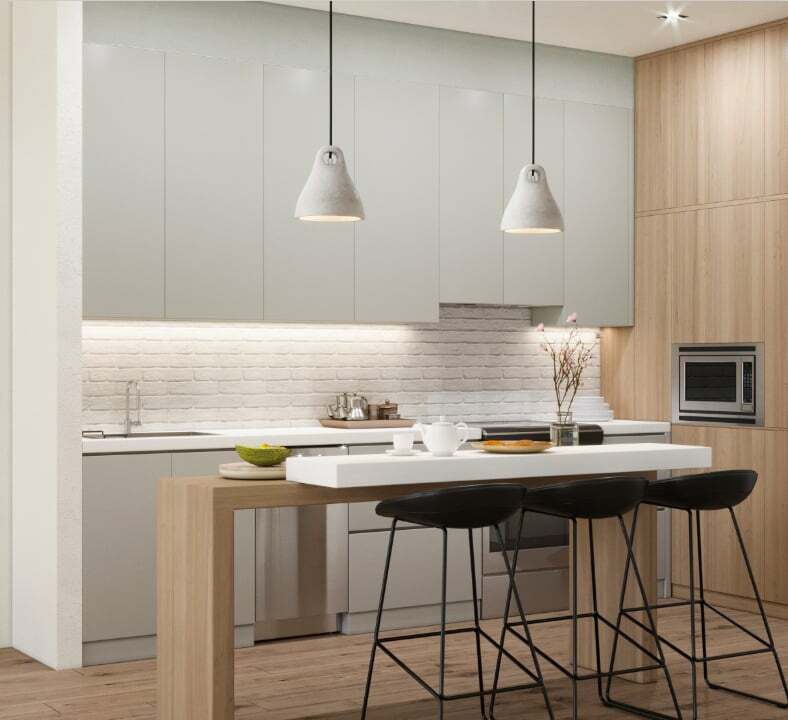 Our apartments were created to offer upscale designer finishes combined with energy efficient and eco-friendly features. Pavion is an Energy Star Certified Community which means savings for you. Light and dark scheme interiors are available providing you unlimited decorating options. Duplex floor plans and Live Work Lofts are also available. Ranging from 700 SF studio apartments, all the way to impressive 1,500 SF duplexes, our apartments offer an option for everyone. Balconies, patios, high ceilings, quartz countertops and floor to ceiling windows are just some of the features that make your home special. Experience the Difference Pavion Offers! Your time is valuable, and that’s why many of the amenities at Pavion are accessible 24 hours a day. You have the freedom to work out when you are inspired, pick up packages on your schedule or give your dog special attention at the dog spa.